This Scalping System is trend following , open trade only in direction of the trending markets. Arrow buy Gann Hilo profit indicator is the trend indicator. Open only long position. Open position when appears arrow buy of The best scalping indicator. Initial stop loss 15 pips, after place stop loss 2 pips above pink dots for sell and 2 pips below aqua dots for buy. This system is very simple and profitable gives very good returns. 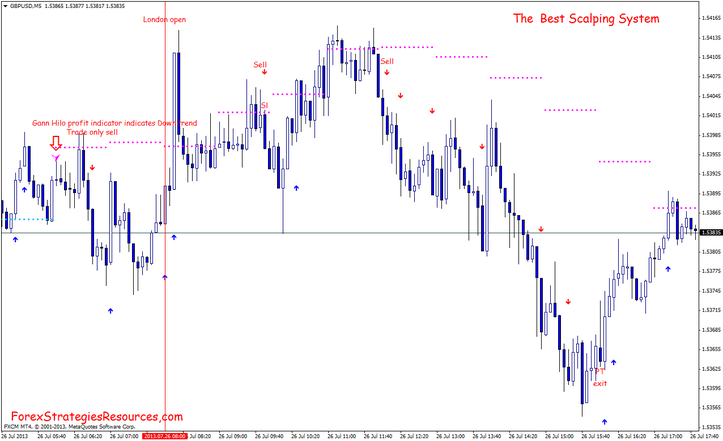 In the pictures belowThe Best Scalping System in action. 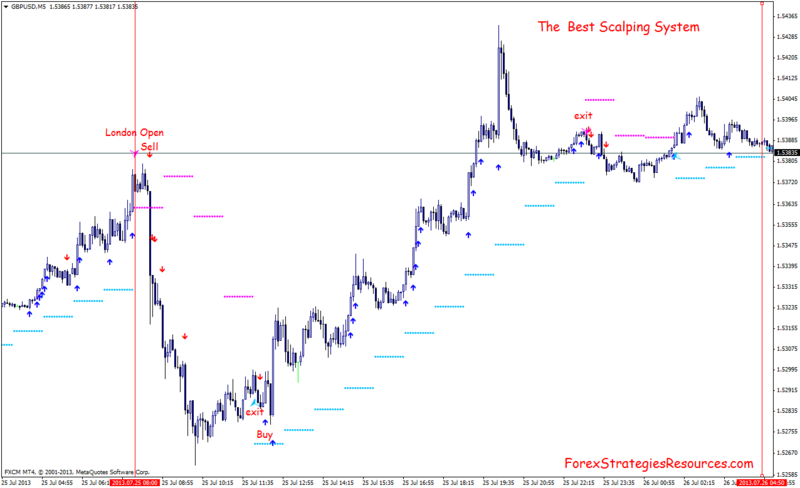 Share your opinion, can help everyone to understand The Best Forex Scalping System. I lost my money for many times. How I should trade and which indicator should I use?